Wee Patch Club: This club is for preschool ages 4 through 6 years old. There is a time for singing, lesson time, and craft time. Junior Youth: The juniors (7-12 yrs) are more involved as they memorize scripture. They also learn the fun ministry of music. The club participates in the opening of Wednesday evening services every 4 to 5 weeks. Teens: Teens meet for topical lessons that are relevant to the teens daily experiences. Lessons are designed to help the teens develop an unwaivering character at all times. Adults: We open with prayer, songs and testimony time. Then there is a corporate time of prayer followed by in-depth Bible study. 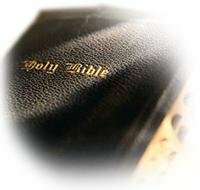 The Bible study may be a topical series, exegetical or simply a praise and prayer service. Our church provides a nursery and toddler room with private bathrooms for all of our services. The experienced mothers of the church volunteer to assist, and are scheduled weekly to ensure the best care of each child. We know our nursery is an important ministry to our families and we take the responsibility of caring for each child very seriously. Due to the acoustical conditions, we provide the use of Telex headset receivers upon request.